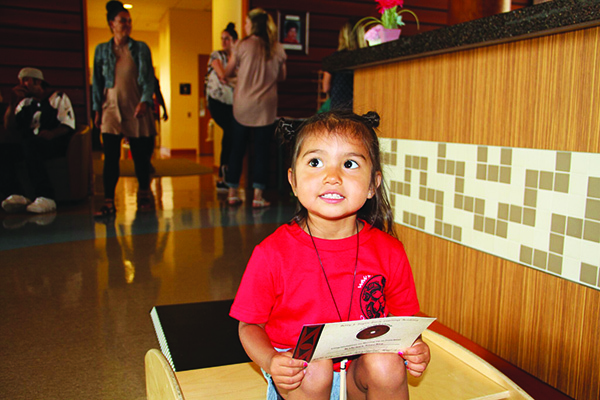 Family members gathered in the lobby of the Betty J. Taylor Early Learning Academy to cheer on their kids as they completed the very first phase in their educational journey. 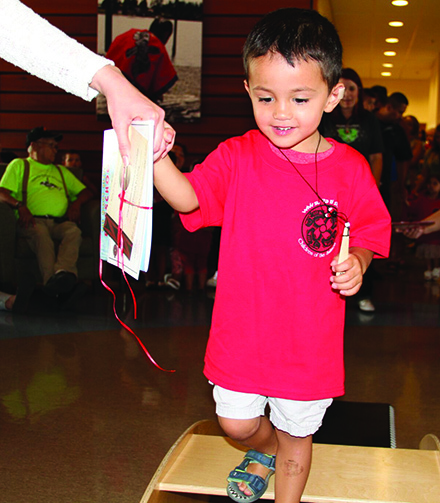 On August 14, forty-two students graduated from the Early Head Start birth to three program and took a symbolic walk across a mini podium as they moved up from the Early Head Start side of the Academy to the Montessori and ECEAP side of the building. 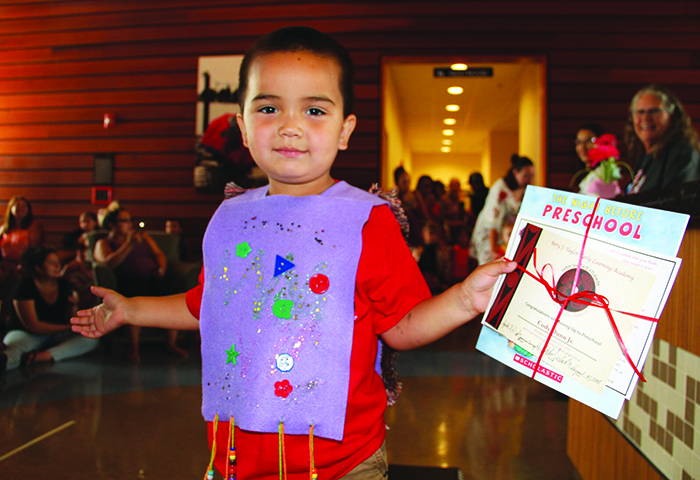 The kids received certificates for completing Early Head Start along with cedar-carved pendant necklaces. Many of the students have been enrolled in the program since infancy and are ready to expand their knowledge as well as see what the big kids have been up to in Montessori. 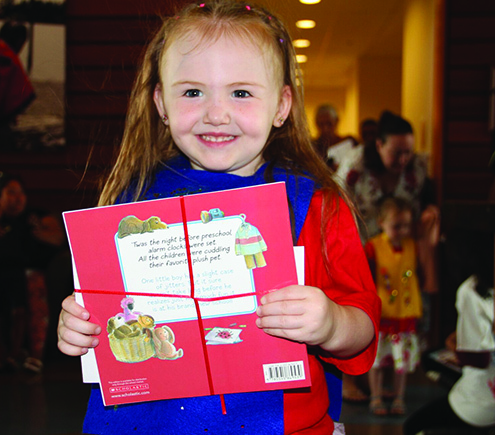 This entry was posted in Education, News, Tulalip News and tagged early learning, Moving Up, TELA, Tulalip by Kim Kalliber. Bookmark the permalink.